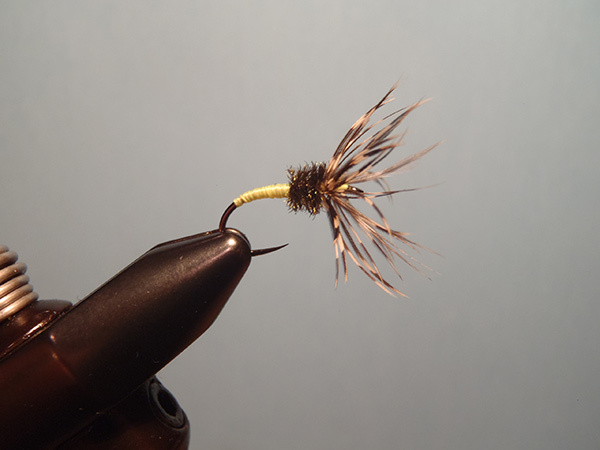 I have to confess, I’d never heard of Fulling Mill hooks until I saw them on Anthony Naples’ site, Three Rivers Tenkara. 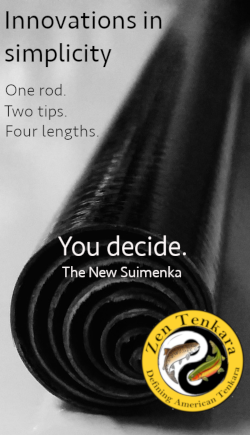 There are a million hooks out there today and I’ve tried a lot of them–not just for tenkara, but for many other applications as well. I usually don’t get too excited about hooks because most of them are just doppelgängers. But these seemed somewhat unique, so I asked Anthony to send me a few samples to check out. And I’m glad I did. 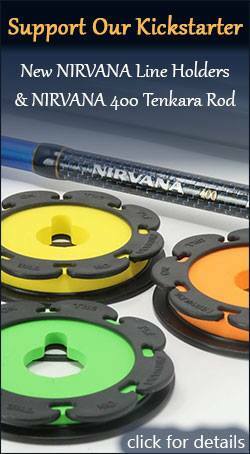 These hooks have a sproat bend with a wide gape, making them a good choice for sakasa kebari. 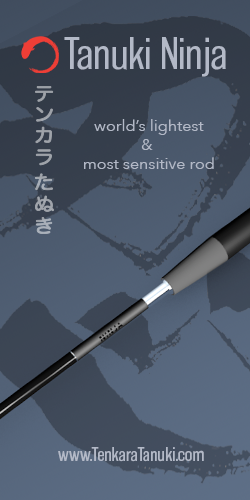 They’re high-carbon steel which means they’re very strong and have a really nice black nickel finish that not only looks classier than bronze, but also eliminates flash and helps to conceal the hook against darker substrates. 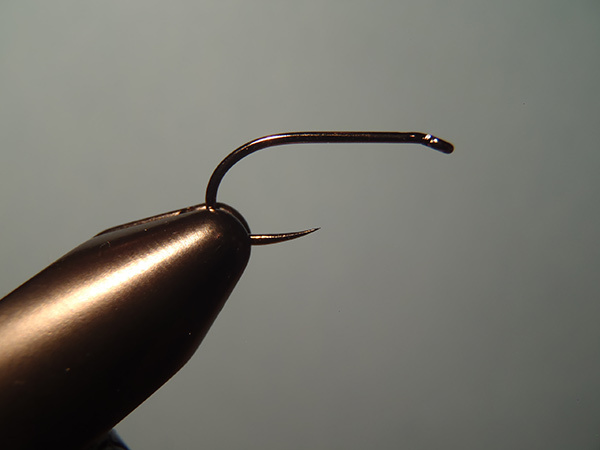 Unlike some Partridge hooks I’ve tried that have a pure black “coating” that’s rough with obvious particulates polluting the finish and which dulls the point, these have a sleek, nearly flawless finish. There are two versions: the Heavyweight Champ and the Grab Gape. 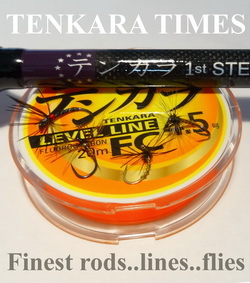 The Champ is a 3x heavy wire which is designed for wet flies like nymphs, soft-hackles, or sakasa kebari while the Grab Gape is a lighter wire hook more suited to dry flies. Both are barbless and extremely sharp. On the packaging, there’s a warning that says, “dangerously sharp”. Daiichi has been putting a similar warning on their packaging for years and I’ve always considered it marketing hype. After all, a hook is supposed to be sharp, right? What’s the point of a dull hook? (Unintended pun there). But in the case of the Fulling Mill hooks, the warning might actually be understated. 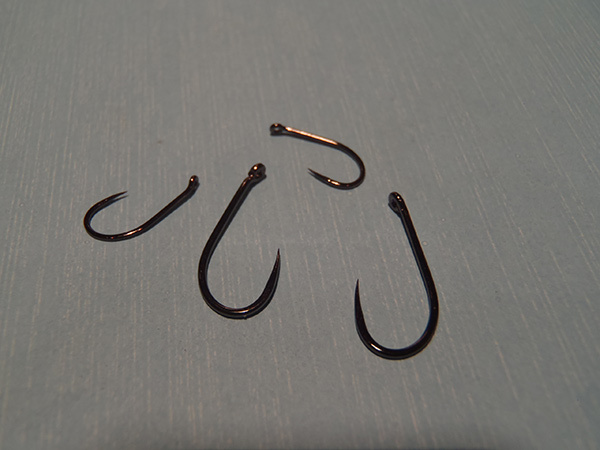 Doing a quick thumbnail test comparing them to other hooks in my arsenal, I found them to be much stickier than many big-brand hooks. These are seriously sharp and with the claw-bend design and wide-gape, should improve hookups. 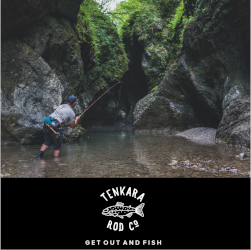 Check out the Three Rivers Tenkara store to pick some up and get more info. 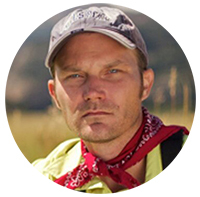 Jason, I have fished these hooks and Dohiku hooks for two years now, can’t count the times I have stuck myself. Caution, these hooks go all the way in no matter what! Your finger will turn purple. Great hooks though, Don.